The 1966 World Cup winner Gordon Banks died last night as the news was announced by his family this morning. Banks is widely considered as one of the best ever goalkeepers to play the sport, having been able to earn FIFA goalkeeper of the year for a total six times and had the privilege to represent his country at two World Cups. In total, the Sheffield-born goalkeeper made 73 appearances for the National team and earned himself a place as the first-choice goalkeeper after the 1962 World Cup in Chile. Banks made his professional debut at Chesterfield back in 1953 before he went on to join Leicester in 1959 where he managed to convince the national team manager for a call up with England. On an international level, Banks had his best period at the 1966 World Cup held in his home country. The Englishman was one of the main pillars of the team that won against West Germany 4-2 in the final of the same World Cup tournament. 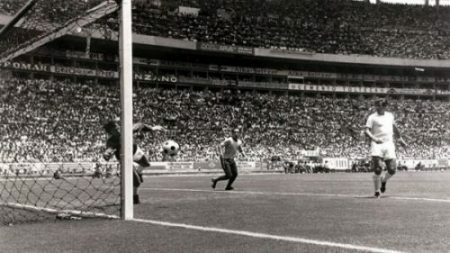 Gordon Banks made one of the greatest ever saves against Pele in the 1970 World Cup. He made one of the game’s greatest ever saves to prevent Pelé a goal in the 1970 World Cup, but was absent due to illness as England were beaten by West Germany at the quarter-final stage. During his eight years with Leicester, Banks managed to win the League Cup in 1964 and was runner-up in two FA Cup finals. He joined Stoke in 1967 with whom he was able to win the League Cup for the second time in 1972. 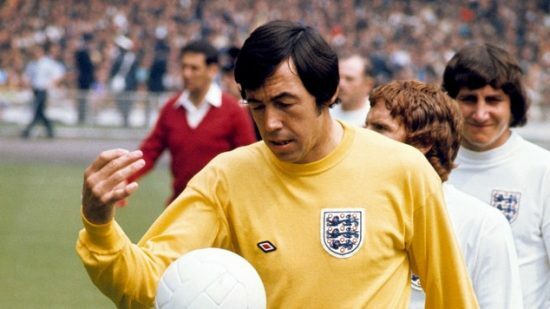 In the summer of 1973, Gordon Banks announced his retirement from professional football after a car crash from the previous year had caused him severe damage to his right eye making it impossible to carry on with his career.